Will 2014 Be the Year of the $10 (60 Watt Equivalent) LED Bulb? 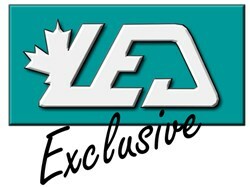 Rob Huston,founder at LED Canada, shares his inside look at LED's up-and-coming light bulb price war. LED lighting prices have turned many people away (in the past) from this exciting lighting technology, but that is all that about to change. 'We will see price war in 2014 with many new LED lines being introduced at bargain pricing.' - Rob Huston, founder at LED Canada. LED Lighting has exploded onto the Eco-home-improvement scene, while some are still reeling from sticker shock, eager homeowners looking to get in on the “Long Term” savings offered by LED technology, have been rewarded recently with huge drops in LED bulb prices. When I accidentally dropped a 4 watt LED bulb I was testing (back in 2010), I had found myself having to purchase the remains for $48.00 (Wholesale even), now thousands of similar LED bulbs can be found in the $5-15 range. While accent lighting (up to 40 watt incandescent) is effortless for LED, 60-100 watt equivalents however, have been a much greater challenge for engineers, these LED bulbs in the 9-12 watt range have traditionally been some of the more expensive designs. How are companies reducing the costs of LED bulb production? While earlier bulbs relied on hefty aluminum heat-sinks, (to keep LEDs within their operating temperatures),or "Active Cooling" with fans, air bladders etc. Today's lightweight LED bulbs incorporate Thermal Plastic and Ceramic Heat sinks. Combined with lower pricing on now abundant LED chips from Samsung, Nicha, Epistar, Bridgelux, innovative companies are designing thousands of lighting products with much more competitive sticker prices. Foreign competition keeps the pressure on North American based LED lighting companies to keep their products competitively priced. Cree, the American LED behemoth, continues leading not only in the actual LED chip technology, but has been releasing value priced lighting in direct competition with Philips (Dutch based lighting superpower), for consumer LED lights and bulbs, with Cree even releasing a LED streetlight with price under $100 USD, directly competing against many of the companies it supplies its LED chips to. Cree is one to watch closely for setting pricing trends across North America. In 2014, we will witness the beginning of the LED Bulb Price Wars, with LED bulb lines from: 3M, Energizer, Samsung, Osram/Sylvania, GE, Verbatium, Acuitybrands and countless others, all hitting shelves in 2014. Who is the big winner in this battle? Ultimately, it is the consumer that comes out on top. Author: Rob Huston, Senior Technical Solution Architect, writes extensively about LED adoption, LED news and technology. Follow him at @LED_Canada.